Jim Hardisty, Managing Director of Goplasticpallets.com speaks out about his concern over the media attacks on plastic and why he feels more needs to be done to regain public confidence in plastic. A selection of the plastics waste used to manufacture recycled plastic pallets. Since Blue Planet II aired last November exposing the destructive effect plastic pollution is having on our oceans, negative coverage and misinformed commentary about plastic has dominated the mass media. This anti-plastic rhetoric running through the media and abundance of ‘ditch the plastic’ and ‘plastic free’ campaigns has completely crowded out the important role plastic plays in our everyday life. And most infuriating of all is that many of these campaigns do little to distinguish between good ‘reusable’ and bad ‘single-use’ plastic. I look at these campaigns and always wonder why are they not specific? And why don’t they refer to single-use plastic? After all, these campaigns were created using plastic computers, and watched on plastic tablets or mobiles – and probably funded using a plastic credit card on a plastic card machine! 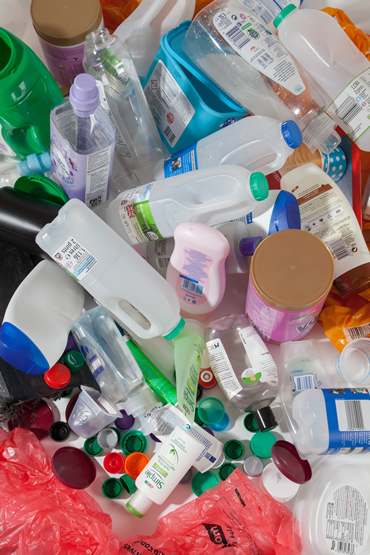 If you look around you, in your home, in your car, on your desk – so many everyday long lasting and essential items are produced from plastic and do an excellent job over the long term. Plastic has powerful sustainability credentials thanks to its low-carbon impact in manufacturing, light weight and recyclability. Here at Goplasticpallets.com we recycle every piece of plastic, paper, card, glass and tin we use – at our own expense. For our clients, we are an Approved Exporter of plastic waste, so that when they no longer have a need for their plastic pallets or boxes, we’re able to return them to our factory in Belgium, where they’ll be reground, and made into more sustainable plastic pallets. We’re extremely proud of the plastic products we supply. Products that have a long lifecycle and last many more times over than wood or cardboard, saving trees along the way. We’re also proud that we’re helping the environment by collecting products back at the end of their long use, then sending them to be professionally recycled, so they don’t end up in landfill. I’m all for campaigns that encourage businesses and consumers to cut down on single-use plastic, and for the collaborative efforts that organisations, schools and the general public are making to help clear our beaches and streets of plastic waste. But plastic packaging does not find its way into our oceans on its own. The UK may only be responsible for 0.2% of ocean waste – this is a global problem – but we all need to take more responsibility for our own litter and recycle more. What’s certain is that something needs to be done to regain public confidence in plastic and promote all the positives it offers as a sustainable packaging material. So rather than further tarnish the reputation of plastic with campaigns that suggest all plastic is ‘bad’, let’s have a balanced campaign against irresponsible people dropping rubbish, and against single-use plastic. Let’s also remember all the actual benefits of plastic as a material of our time!